Grew up… normal – or so he thought. Yuji might have been raised thinking he was nothing more than an average teenager, but when he meets a mysterious red-haired girl, his "normal" world comes to a grinding halt. The girl, who identifies herself as a "Flame Haze," tells Yuji two things. One: there are actually two worlds, Earth and the Crimson Realm, whose nefarious Denizens feed on human Power of Existence. And two: Yuji is a Torch, the remnant of a human who has already died. Living... somehow. Despite the short lifespan of most Torches, Yuji is still alive, much to the surprise of both himself and Shana, the Flame Haze who found him. Soon, however, they find out that Yuji is a Mystes – a Torch who carries a special "Treasure Tool" inside his body. Yuji's particular Tool, the Midnight Lost Child, refills his Power of Existence every night at midnight – but only if he hasn't wasted all of it by then. Profession… high school student, in between helping stop Flame Denizens and having his life threatened. An average student, Yuji's never been a star athlete or Mr. Popular, but his kindness has won him a circle of close friends. Interests… making sure other people are safe and happy. From letting the feisty Shana live with him to frequently offering his life in place of others', Yuji puts the needs of others before his own. Relationship Status… single. Despite being otherwise intelligent, Yuji can be a bit dense when it comes to love, hesitating to do anything even when he has feelings for someone. Challenge… helping protect the world. With few athletic skills and even less martial experience, Yuji decides to help Shana preserve the balance between the Crimson Realm and Earth. After all, he's already technically dead – what else does he have to lose? Though Yuji is initially more of a burden than a help to Shana, his analytic skills eventually make him a valuable ally in her fights. Personality… kind, optimistic, and meek . Yuji thinks of himself as an average guy, but beneath his meek exterior lies an exceptionally keen mind and a strong inner will. No matter what obstacles he comes across, Yuji remains hopeful about the future. After all, "a tiny Torch got this far" – who knows how much farther he could go? See Him In... the anime. 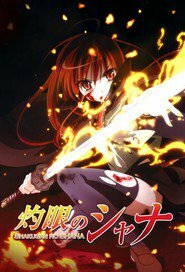 A mixture of action, romance, and high school drama, Shakugan no Shana follows the adventures of fiery fighter Shana and Yuji, the normal human boy who quickly proves to more than he seems. From this premise, writer Yashichiro Takahashi builds a vivid world, full of complex spells and monstrous villains. With strong worldbuilding, well-animated fights, and many strong female characters, Shana's dramedy setup means it has something for everyone. Yuji Sakai's popularity ranking on CharacTour is #1069 out of 5,000+ characters. See our top-ranked characters and read their profiles.